College professor Paul Davis is a normal guy with a normal life. Until, driving along a deserted road late one night, he surprises a murderer disposing of a couple of bodies. That's when Paul's "normal" existence is turned upside down. After nearly losing his own life in that encounter, he finds himself battling PTSD, depression, and severe problems at work. His wife, Charlotte, desperate to cheer him up, brings home a vintage typewriter—complete with ink ribbons and heavy round keys—to encourage him to get started on that novel he's always intended to write. However, the typewriter itself is a problem. Paul swears it's possessed and types by itself at night. 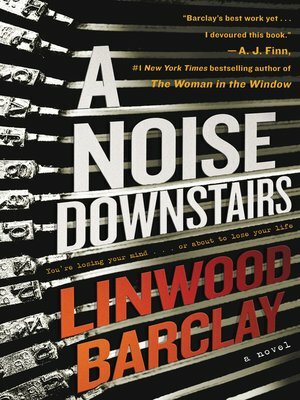 But only Paul can hear the noise coming from downstairs; Charlotte doesn't hear a thing. And she worries he's going off the rails.